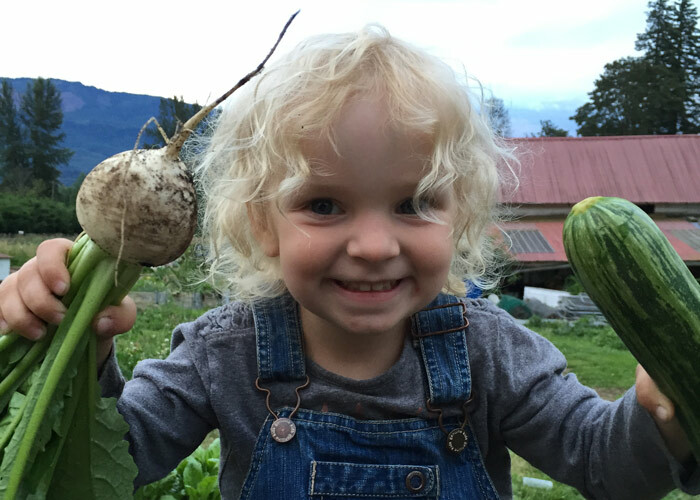 As a local farmer and small business owner, Tristan Klesick’s livelihood is tied to the rich “resource lands” of Snohomish County – the farms, forests, natural habitat, open space, and parks that make this a beautiful place to live and work. He is not alone. 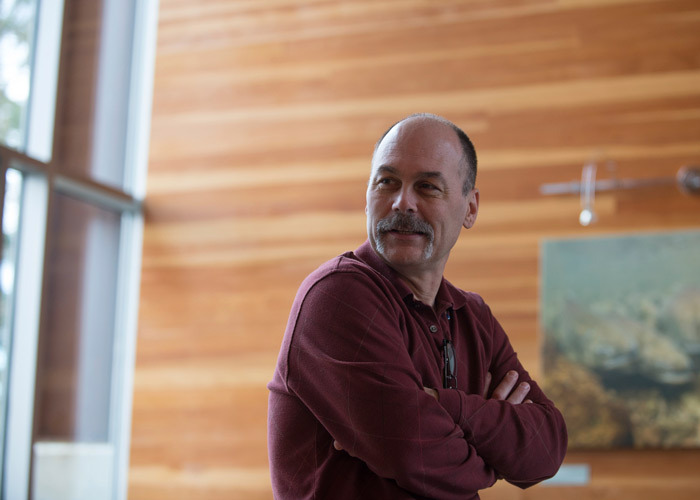 For the Tulalip and Stillaguamish tribes, these resource lands are not only important for livelihoods, but a part of who they are – salmon and the rivers play a large role in their creation stories, their diet, and their daily lives. It is not uncommon here for lives to be lived close to these productive lands. But Snohomish County is changing. An estimated 4000 people move here every month. The watershed is in the midst of shifting from a snow-dominant watershed to more rain-dominant system. The changing climate and growing population puts unprecedented demands on these critical resource lands. “We used to have 30 fishermen. The Sustainable Lands Strategy (SLS) is a great example of a program that brings communities together to build solutions where everyone has something to gain. SLS provides a forum where people from different backgrounds can discuss their needs and priorities, and in the process, build the trust necessary to do the hard work of tackling problems as a community. The relationships created through this forum are one of its greatest strengths, and fundamental to the long-term sustainability and shared stewardship of the resource lands. With funding from Floodplains by Design, the shared vision developed through SLS — of win-win outcomes for farms, fish, and flood control – begins to become a reality. By building the trust necessary for collective ACTION, meaningful change is now possible for Snohomish County. 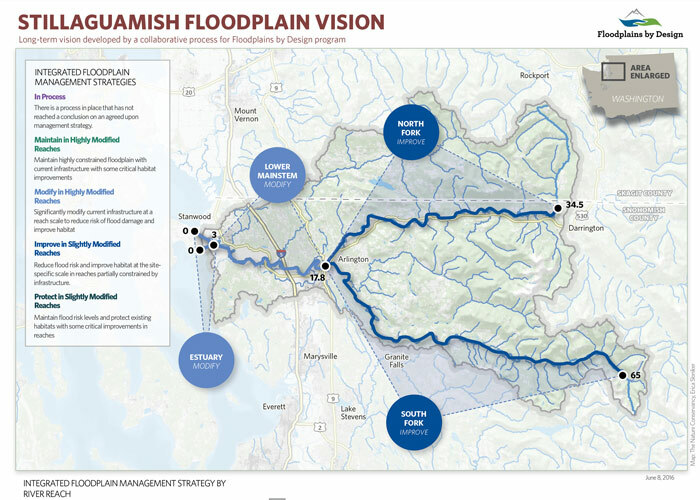 The Stillaguamish tribe and WA Department of Fish and Wildlife have plans underway to restore 340 acres of critical estuary habitat, and Dike District 7 is evaluating much-needed flood control improvements. Local Stanwood Dairy Farmer Jeremy Visser is looking to be the first dairy farmer to turn cow manure into clean water, and make money on fertilizer by-product in the process. And SLS and its partners are also developing innovative models for conservation easements and the purchasing of development rights. Years of relationship building through the SLS forum, combined with funding from Floodplains by Design have created tremendous momentum in the Stilly-Snohomish watersheds. And the progress shows no signs of slowing. A remarkably diverse group of 75 people — people who once opposed each other — recently sat down together to celebrate their accomplishments with a Farm-to-Table dinner.